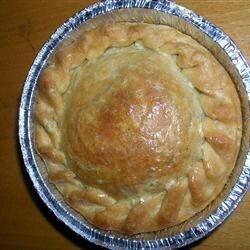 "This pie is easy to make and is wonderful comfort food. This is my husband's favorite meal." This was a quick meal but for us it also tastes like a quick meal. YUMMO AND EASY!!! I made my own pie crust and what a nice and fast dinner!!! !